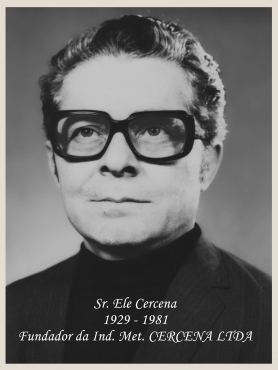 Cercena's 50-year legacy of work, persistence, creativity and innovation began on May 1, 1965 with founder ELE CERCENA, a person who saw obstacles as an opportunity to grow, and had a short but remarkable life. As an entrepreneur Ele Cercena started his business with a lathe and a toolbox, setting up his Engine Rebuilder. But always looking to the future and with great dedication he laid the foundation to in 1972 start his iron foundry, beginning with parts for farm equipment and soon after in 1974 producing brake drums, increasingly expanding into the agricultural and highway markets. 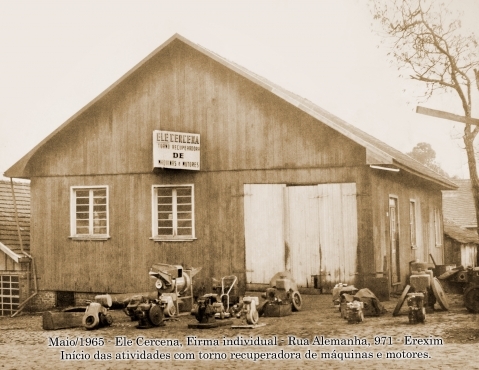 In 1987, with the entrepreneurship inherited from their patriarch, his children Margarete, Juarez and Angelica Cercena transferred the company to the Erechim Industrial District, investing in productive capacity, technology and expanding their participation in the castings supply market. Cercena S/A is now installed on a physical area of 22.500 m² and built area of 14546 m². Cercena S/A develops and produces parts in gray, ductile and white iron, mainly produces wheel hubs, pulleys, brake discs, brake brackets, transmission boxes, arms for tractors, bearings houses, gearshift levers, housing and supports, in accordance with customers' designs for various market segments, especially agricultural, road, rail, hydraulic. In order to qualify its processes and seeking continuous improvement of its products the company is ISO 9001 certified since 1999, which guarantees customers a safe and reliable process with high performance and excellent quality. 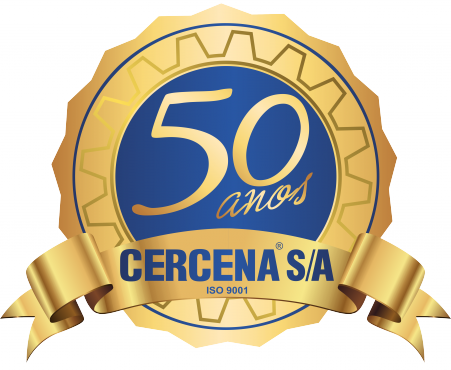 Cercena S/A has its own line of products and since 2005 has marketed them under the Safety Parts brand name, staying active in the auto parts market. Always focused on serving its customers Cercena joins commitment, quality and experience to investment in high-tech and innovation. To produce castings for various market segments and develop its own products for the "Aftermarket", meeting customers' needs, in partnership with suppliers, ensuring return on investment, employee welfare, social integration and respect for the environment. “To set the standard in the Brazilian foundry market with sustainable growth. "